On its website, WFLA said he would not be returning to television until an investigation was finished. 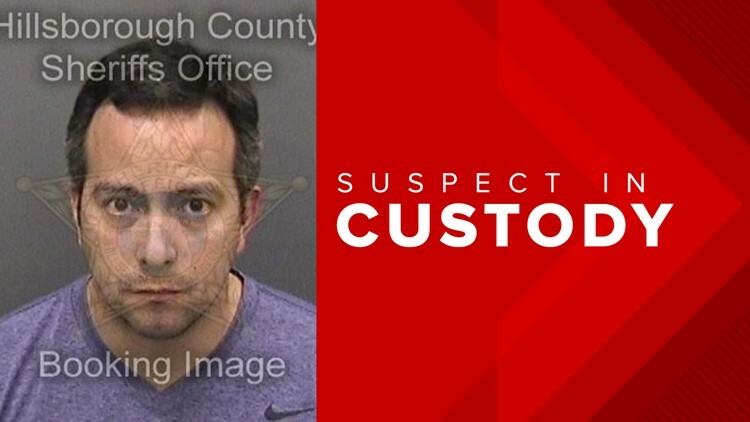 A Tampa Bay television anchor is behind bars, accused of battering a pregnant woman. Hillsborough County Jail records say Marco Villarreal, 37, of Tampa was arrested Sunday evening at his home. He is being held on $7,500 bail. Jail records list his occupation as WFLA news anchor. Tampa police say they were called to a home by a report of a domestic dispute. There, they spoke to a woman who was six months pregnant. They said she was visibly upset but did not have visible signs of injuries. They contacted Villarreal and met with him at the home. He was arrested and taken to jail. 10News has reached out to WFLA and its parent company, Nexstar, for comment. On its website, WFLA said: "Villarreal will not be returning to our newscast until an investigation of the charges has concluded. WFLA will have no additional comment at this time. "